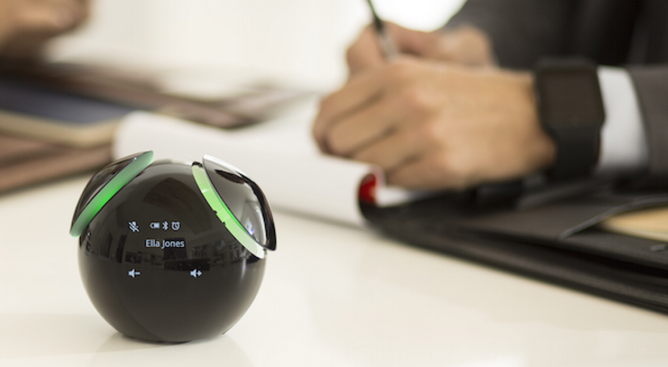 Sony's upcoming Smart Bluetooth Speaker BSP60 (announced at this year's Mobile World Congress) is a tad on the cute side. 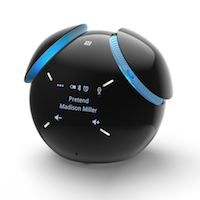 It sits on your desk like an unassuming black ball, but that changes as soon as the music starts. Then its circular "ears" pop out and start glowing. Wheels on the bottom let the thing move in place like it can't fight the music. It's almost enough to make a grown man squee. If you live in Europe, you can now call dibs on one of your own. Just know that it will set you back 300 euro. That price isn't nearly as endearing. The BSP60 supports NFC pairing and responds to "OK Speaker" voice commands to play music, set alarms, place calls, check the weather, and a few other tasks. It doesn't offer the depth of options the Amazon Echo does, but that's okay, because it's adorable. Seriously, though, look at it go. This pre-order will last in Europe until June 21st. During this time, Sony is also throwing in a SmartBand Talk SWR30 as part of the deal.